The Flymore heated pitot tubes for experimental aircraft are made of aluminum with a certified heater element. They can be either 12 or 24 volt. These pitots fit all standard pitot tube brackets. 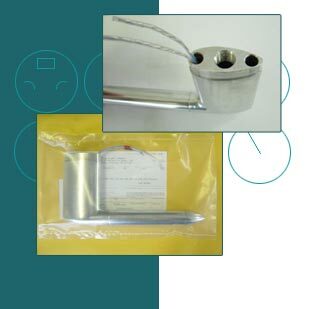 To keep the costs down and to allow for a wider variety of pitot tube brackets, the pitot has no attachment holes. These need to be drilled and taped to suit the pitot tube bracket. The pitot head mates to the pitot system via a standard AN fitting (AN816-4-4D). Electrical wiring is straight forward one power and one ground. The power wire should be protected by a 15amp circuit breaker.